What a great session it was. A total of almost 7,000 spins on various bet sizes on a total net deposit of just £55 with money still left to play with in due course. Total money at that point in time stood at £120 so it was time to cash that out and play it (with a little extra) at Videoslots casino. The reason for this is that whilst Unibet is a very good casino (they are recommended here on our website – see our review), there are no extra incentives such as cashback or race money. 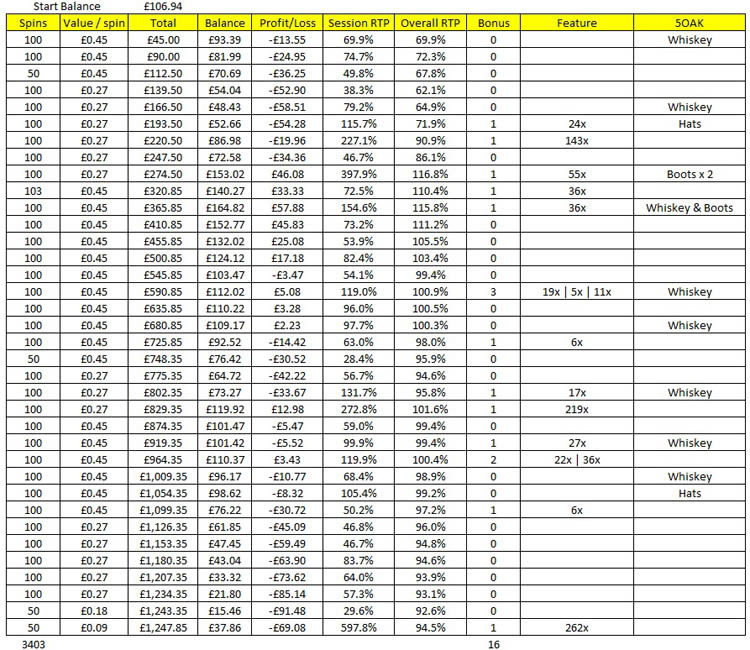 £150 was withdrawn from the account onto the debit card and the remainder of just under £107 was played through on bet sizes varying between £0.09 and £0.45. I ended the session with £37.86 still in the account. A total of 3,403 spins were made with 16 bonus rounds awarded by the slot (one every 212 spins on average). Three of these bonus rounds paid over 100x bet size with the last one that was played at £0.09 a spin paying a very respectable 262x bet size. So there you have it, a monster session of 6,964 spins during which 45 bonus rounds were played (once every 154 spins on average) with two of these resulting in the extra 5 spins because at least one wild was on one each of the reels during the bonus spins. 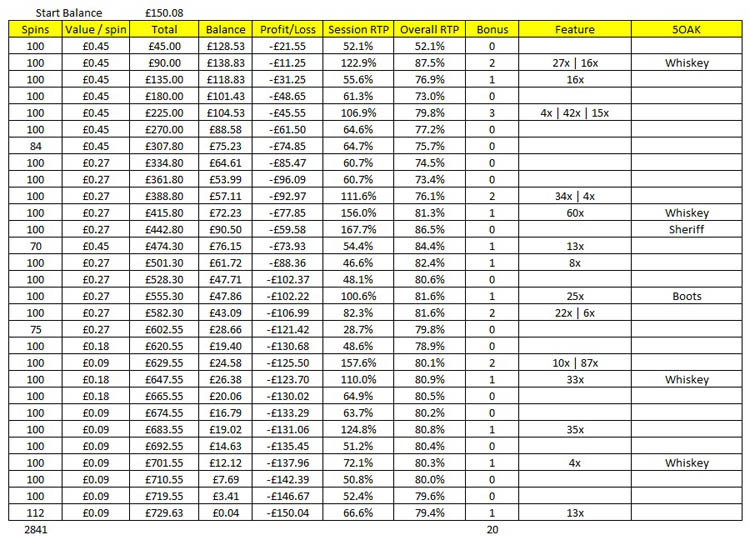 Total RTP for this very enjoyable session was total deposits of £325 minus £270 withdrawn from the casino minus £37.86 end balance equals a total loss of £17.14 over a total wagering amount of £2,269.09 which in turn results in a return to player percentage of a very respectable 99.2% – the best session I ever had on the slot other than the mega big win ones. This was, of course, aided by the £53 win during the free spins. Let’s see what the remainder of the money is going to turn into, if anything at all!! 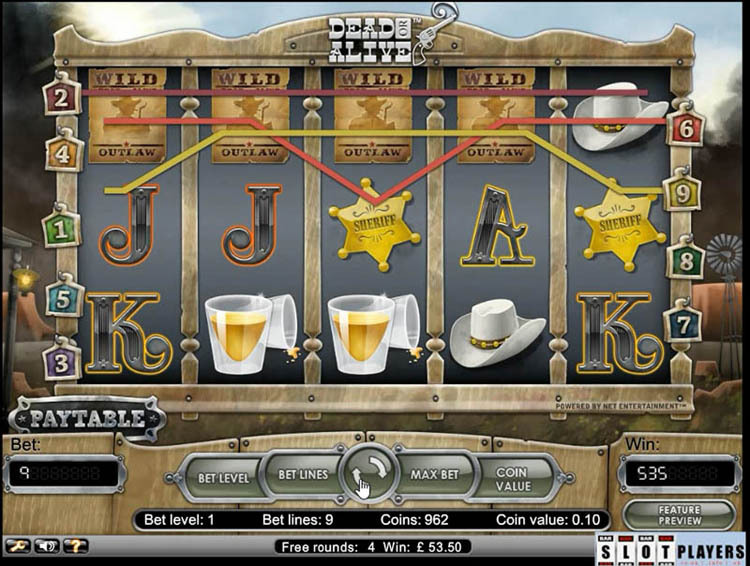 This entry was posted in Slot News and tagged Bandicam, Dead or Alive Slot, Netent Slots, Unibet, Videoslots by Slotplayer. Bookmark the permalink.